A cascade of crises is forcing America to confront the racism of its past and present—from overt acts of hate to subtler injustices that shape our society. 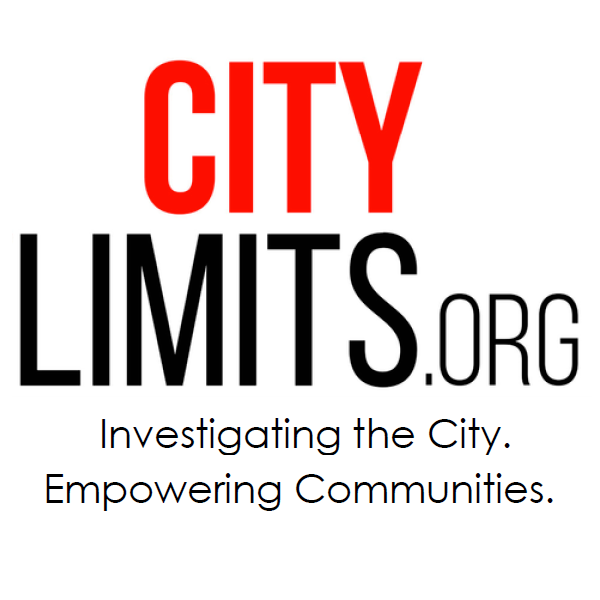 Over 17 weeks, City Limits and Enterprise Community Partners will feature prominent New Yorkers’ views on how race and housing policy intersect to create a legacy each of us must confront, and the way forward we should take together. These are not necessarily views we endorse. But they are views we fully believe are important to share with each other. Here is the 15th post in our series. Read the rest here. 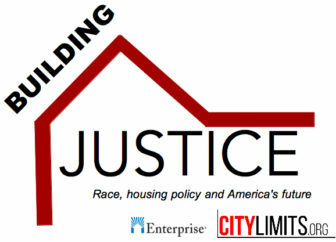 Over the last several weeks, this Building Justice series has featured experts in housing and community development in and around New York City. Working as practitioners, funders, researchers, organizers and activists, contributors to this blog have made lasting impacts throughout the region. While much progress has been made, it is disheartening to see how many families lack a decent affordable place to live; the extent to which our communities are still racially and economically segregated; and how difficult it continues to be to tap existing housing policies and programs to drive more equitable outcomes. Even so, the housing and community development field has been increasingly naming the goal of racial equity and inclusion as part of our work. We are increasingly focused on the role that housing plays in promoting shared prosperity and working to build greater support for housing equity, quality and affordability. I’ve heard more about racial equity and inclusion in our field in recent months than I have in a very long time and I’m delighted that a strong undercurrent is brewing within our ranks to support this renewed focus. But, we need more fire power! Housing has an outsized impact on a wide range of social outcomes that deeply affect the presence, prevalence, and magnitude of racial disparities. Housing is the single largest expense families have and the location of that housing matters greatly – especially for racial and ethnic minorities who are often locked out of more affluent, opportunity-rich communities. The location of the housing we build impacts access to amenities like libraries, fresh air, good schools, transportation and decent jobs. Let there be no mistake, racial disparities in access to quality affordable housing matters greatly, not just because this access is a meaningful and measureable outcome, but also because it is an important gateway to a whole host of other measures of long-term success and wellbeing for families. In this way, affordable housing and the work to improve the surrounding neighborhoods is on the critical path to racial equity and inclusion. They are the same struggle. Working toward racial equity in housing means that we are actively and intentionally pursuing policies, programs and investments that reduce racial disparities – with the goal of making it impossible to use race as a predictor of any negative social outcome. While there are many ways to address racial equity and build more inclusive communities in the context of housing, we should be clear on the fundamentals. It means that we acknowledge the pervasiveness of racial discrimination in policies that have historically worked to the disadvantage of many people who are today struggling to support their families. It means that we actively and intentionally work to ensure that new policies, programs and investments do not exacerbate, reinforce or recreate any form of racial disadvantage – especially for already marginalized racial and ethnic minorities. It means that we ensure that people of color (and others who often lack access to power and privilege) are seated at the tables where new housing policies, programs and investments are being created; where community solutions are being devised; and where resources are being allocated to address challenges. This means including people of color not as afterthoughts and not just as “residents” but as professionals (investors, evaluators, originators, etc.) with expertise and opinions to share about how our neighborhoods and communities are shaped. It means understanding ‘disparate impact’ and working together with civil rights activists who want to think with us about how affordable housing is sited – both from a regulatory standpoint but also from a human development standpoint. It means active examination of data on racial disparities from a wide variety of perspectives to ensure that we are operating from real data and not simply from what we think we know. It means continuous examination of our business processes, partnerships, and investment strategies specifically with an eye toward producing more inclusive, meaningful and impactful outcomes. It means being part of a cross-sectoral call-to-action to both address the challenges of housing insecurity and also to address the racial inequities that are embedded (sometimes invisibly) in those challenges. It means being good allies with community partners who are raising racial equity as a concern. Not co-signing every idea those partners propose or funding every new project they pursue but rather, being willing to amplify their voices both with good intention and action. It means taking seriously work to widen the tent and broaden public support for racial equity. It means we must communicate about the value of our work in ways that directly calls out this issue, clearly names it as part of our work and actively invites others to participate in the solutions. not always won over by the sad stories we have to tell about the growing numbers of racial and ethnic minorities who are being made even more vulnerable because they are facing impossible housing constraints. To understand how to connect in new ways to these audiences, we first need to understand why our current messaging strategies have failed to win the day. That is, to understand why our messaging seems to be backfiring – often with the very audiences who should be most predisposed and in support, of our efforts. “Affordable Housing” Is a Highly Racialized Term Commonly Associated with “Public Housing”. From decades of social science research and recent research conducted by the FrameWorks Institute, we know that the public largely thinks of the word “housing” and especially the term “affordable housing” as “public housing”. We also know that race is often conflated with the negative attributes and stereotypes about public housing such that there is an implicit assumption that public housing means low-income people of color. Even after more than 30 years of homes created under the Low-Income Housing Tax Credit program and other place-based subsidy programs, people still think about affordable housing in a generally negative context however. Just as the general stereotypes of other public entitlement programs over-represent people of color, the public often over-represents people-of-color in their thinking about housing programs yet housing tax credit properties actually house more white residents and many of these at the higher ends of eligible income guidelines. Even so, when the public assumes these negative stereotypes about the work that we do, it makes it much harder for them to see their stake in our success. Racial Equity – Didn’t We Solve That Already? Research also tells us that the public often conflates racial equity with racial discrimination – two related but different things. A racial equity lens on housing asks us to be intentional about examining housing policies (even those with no explicit racial language or discrimination) to determine if they are exacerbating or reinforcing negative racial disparities. Yet when the public reasons about race from the perspective of discrimination – which is ultimately more familiar, the attention is focused on addressing the explicit discriminatory acts or forms of discrimination, rather than focus on racialized outcomes. When the issue of race is only understood in a discrimination context, it is easily dismissed because the public generally thinks about discrimination as a thing of the past – something we solved long ago when we enacted anti-discrimination laws and set up public agencies to adjudicate complaints. As a result, the public assumes that any lingering racial disparities are a result of differences in effort, perseverance and talent. So, our reinvigorated calls-to-action on this issue are often met with exasperation by a public that has grown tired of trying to solve this problem. Then, the focus on racial discrimination (rather than the bigger issue of racial equity) makes our calls for continued vigilance on this issue seem dated and irrelevant. A History of Governmental Policies that Have Gone Wrong on Racial Equity. As housing and community development advocates, we see government partnership as a critical part of our work to address housing insecurity at scale. While the public can acknowledge that government has some responsibility for improving housing conditions and has some role to play in addressing racial gaps, there is enormous skepticism that government intervention can be helpful and many see the government’s role as counterproductive. For example, work by Richard Rothstein from the Economic Policy Institute reminds us that government policy has historically had a significant role in shaping, dividing and further segregating neighborhoods and communities across the country. So, as we push for stronger government involvement in creating housing policies and programs that have racial equity as a primary outcome, the ability to build public confidence around this approach is made enormously more difficult. Mobility, Personal Responsibility and Self-Makingness. Housing and community development advocates view poverty, housing, and racial disparities as interconnected – where problems in one area lead to problems in others, producing a spiral of eﬀects that often go beyond the control of individuals. In contrast, the public often reasons that people need more initiative to address their own challenges – to move when rents are too high, to get more education or job training when their wages are too low to afford the quality housing they desire, and more generally to make better “choices” about the housing they purchase. This perception makes it difficult to engage the public as advocates on behalf of people of color who are often more vulnerable to challenges in the housing market. And because the public tends to attribute racial disparities in housing to individual choices rather than to the structural challenges in the housing market, it reinforces an ambivalence to support a stronger set of policies, programs and investments that would ameliorate these concerns. There are many things we can do to address these issues and to locate racial equity concerns squarely in housing and community development. Chief among them – organize, educate, mobilize and act with strong intention. In addition, let’s get on message – singing from a song sheet that brings new messengers and advocates to our efforts. New research commissioned by Enterprise and conducted by the FrameWorks Institute is testing the effectiveness of messages aimed at increasing public engagement in housing with a strong focus on racial equity. The results are not final but we are already harvesting some of the research insights. A lengthier paper written by FrameWorks’ CEO Nat Kendall-Taylor and I, highlights 10 evidence-based recommendations from that research for elevating the public discourse around housing issues. Below I discuss three that are specifically relevant for thinking about racial equity. In lieu, strong research in the social sciences has found (on a wide variety of issues including housing) that messages that lead with values (such as prosperity or ingenuity) more consistently position housing issues as collective problems that when solved, have collective benefits for all (the story of “us”). Values help people to get up and over the perspective of separate fates (or the inclination to see the problems and the solutions we pose as relating to “those people”). 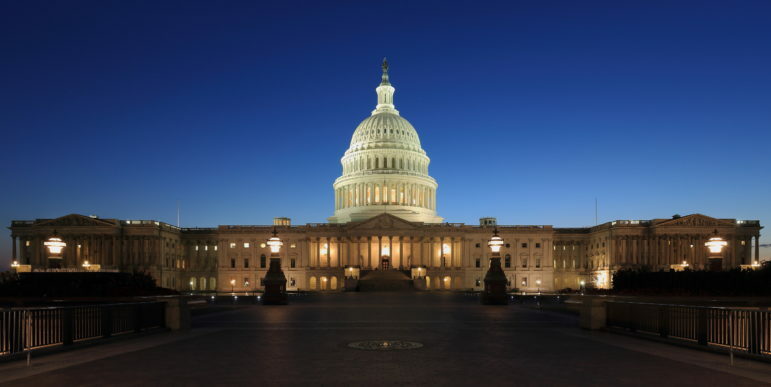 Values can be especially important as housing and community development advocates often need to gain support for policies and programs that are targeted to less influential constituents – the poor, homeless, racial minorities, seniors and others. Value-based messaging – messaging that has the power to lift up these issues as broader public concerns and with collective benefits – provide housing advocates with greater power to address opposition to many of the equity solutions we propose. Recommendation #2: Don’t assume that pointing out decades of racial discrimination in policy, systems and programs will make the public more sympathetic, instead focus more of your messaging on the kinds of systems change that would promote greater racial equity. The recent Supreme Court decisions on disparate impact are giving license to new discussions around fair housing and energizing advocates who are raising housing as a social justice issue. Some of the discussion and energy is focusing on the deep historical connections between policy, systems, and segregation. Don’t assume though that pointing out decades of racial discrimination that deeply segregated neighborhoods will make the public more sympathetic to the call to address current forms of racial, ethnic or economic segregation in housing. Given the strong belief among the public that discrimination is both a thing of the past, revisiting those issues won’t change the conversation. So instead, raise the challenges of previous policies but focus more of your message on the ways in which enacting reforms today help us to better address problems and improve outcomes – with a strong and specific focus on the ways in which fairer and more inclusive housing, benefits everyone in society. Recommendation #3: Avoid over-relying on the terms “housing” or “affordable housing” in messaging. We know that people most often associate the terms “housing” and “affordable housing” with very negative and highly racialized stereotypes. These conceptions are very narrow and without added explanation, quickly limit public thinking about the importance of affordable housing issues, the significance of affordable housing, the ways in which housing is connected to other issues, and, most importantly, options for change. While it is not possible to completely avoid using the terms “housing” or “affordable housing,” don’t lead with or rely on these terms in messaging that is specifically geared toward broader public audiences and building public will. Instead, where possible, pivot to language that broadens the idea of housing – talk about how much a ‘home’ means to people and how deeply affected people are by the quality of the homes, the neighborhood resources, and environments that surround them. Housing is a gateway to racial equity and we need to build the will of a wide range of people in our communities to understand housing in this way. While an effective messaging strategy is not a panacea, it is critical for building the bigger tent we need to solve the housing insecurity problem and to do it in a way that ensures shared prosperity. This effort requires us to reach across our silos, organize, educate, act affirmatively and use strategic communications as a tool to drive better outcomes in this work. The good news is that, while there are many areas where our current attempts to engage public audiences about racial equity are challenging, there is equally strong evidence to suggest that these challenges can be overcome. Tiffany Manuel, Ph.D., is Vice President, Knowledge, Impact & Strategy at the Enterprise Community Partners, Inc.
‘Cities nationwide, including New York, remain incredibly segregated by race and class. Now, it is more important than ever to have honest discussions about how we arrived at this point.’ The first post in a new blog series.